Harris Ranch cattle ranch in Coalinga, California. San Joaquin valley. 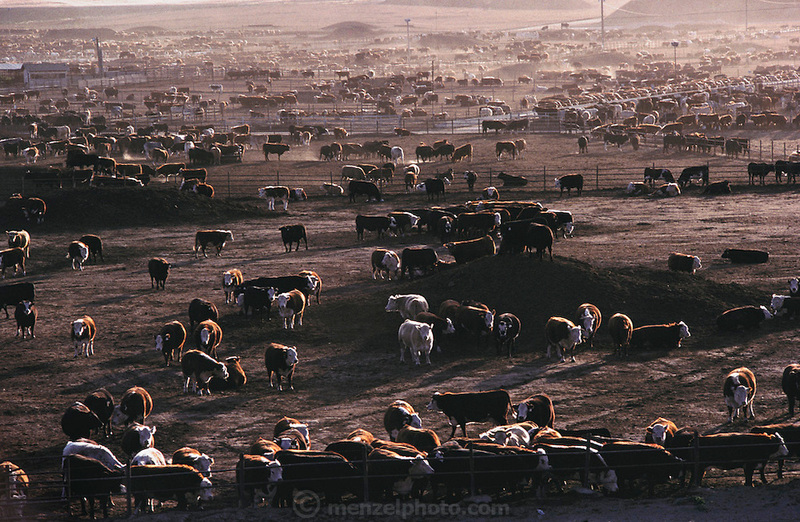 Harris Ranch cattle feed lot is California's largest. USA [[From the company: THE HARRIS FARMS GROUP OF COMPANIES. Harris Farms, Inc. is one of the nation's largest, vertically integrated family owned agribusinesses]].